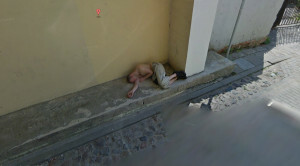 Had a bit too much to drink last night? 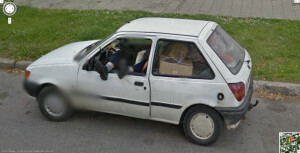 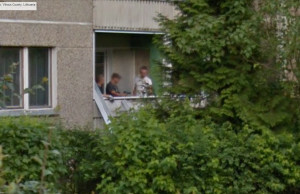 Now these guys are seriously happy to be featured on Google Street View! 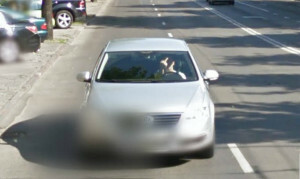 Google Ignores Blurring this License Plate! 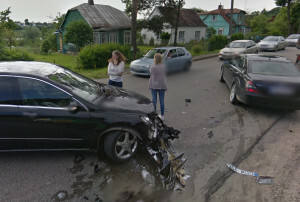 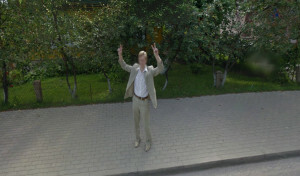 Happy Lithuanian Man Giving Google Street View the Peace Gesture! 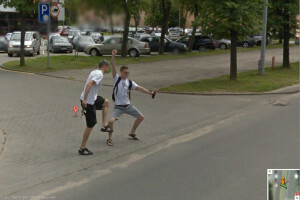 What is this Lithuanian guy pointing his gun at?